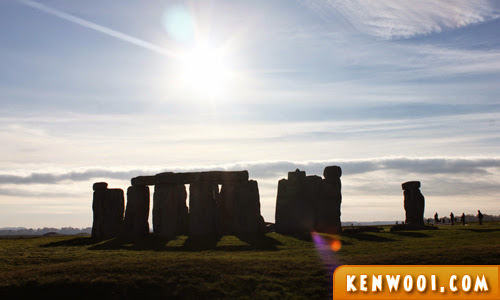 The last destination on the final day of the Great Britain Tour with Expat Explore was the famous Stonehenge, a prehistoric monument located in England. While it’s believed that it could have been a burial ground, it’s nothing more than piles of stones arranged in a circle. Anyway, we arrived at Stonehenge after a visit to The Roman Bath earlier that day. The tour coach took us to into the middle of a very wide meadow. 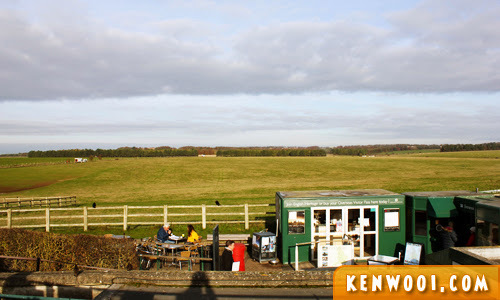 Grassy lands can be seen from all angles. 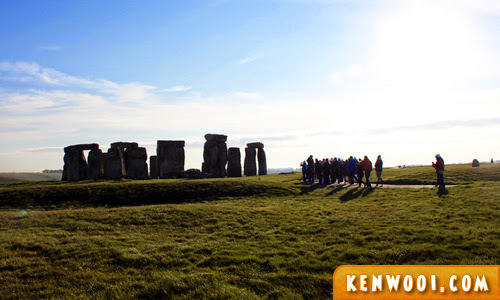 Prior to reaching Stonehenge, our tour guide made the ticket purchase arrangement for us. 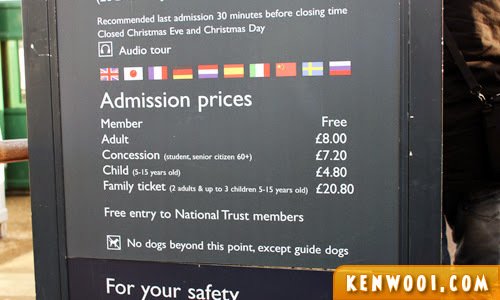 The admission price for an adult was £8.00 (RM44.96), but I think it may have increased by now. Right after we’ve been given the “flyer” ticket, we proceeded to the main entrance and to the location where Stonehenge is. We’re given an audio guide each. To use it, just refer to the numbers displayed on the ground and enter the number into the device. 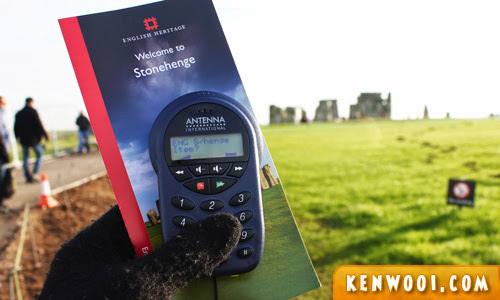 A commentary about Stonehenge’s history and stuff will be played. I didn’t really listen to every audio commentary because I wasn’t interested. But anyway, the sight of the stones were quite fascinating. I mean… I was like “WOW” for a bit when I first laid my eyes upon the structure. But the “WOW” moment didn’t last long. The available walking trail goes around the stones and there’s a parameter setup that prevents visitors from going too close to the monument. Plenty of photos were taken from various angles but they look almost the same, except when taken directly against the sunlight. That’s when the silhouette version of the Stonehenge can be taken. 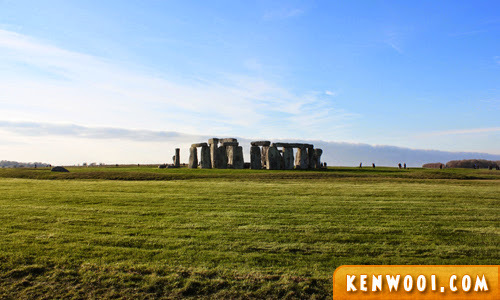 While it’s estimated that 1 million people visit the Stonehenge every year, I think 1 visit is definitely sufficient. After all, they are just a pile of stones out of nowhere. And visitors are just people taking photos of a pile of stones out of nowhere. Heh. So this destination marks the end of the 7D6N tour around Great Britain that covered cities in England, Scotland and Wales! wow. i am really such a geography fail pls. 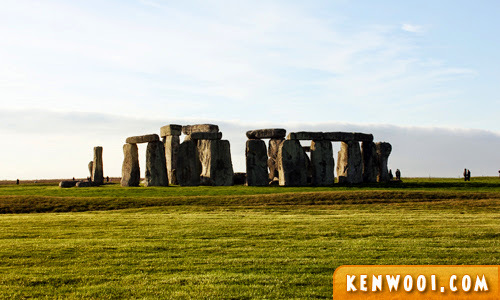 i never knew stonehenge was in england! LOL! I did not go either. Those who went said it was fenced up, could only walk around and see from afar…not worth going all the way.